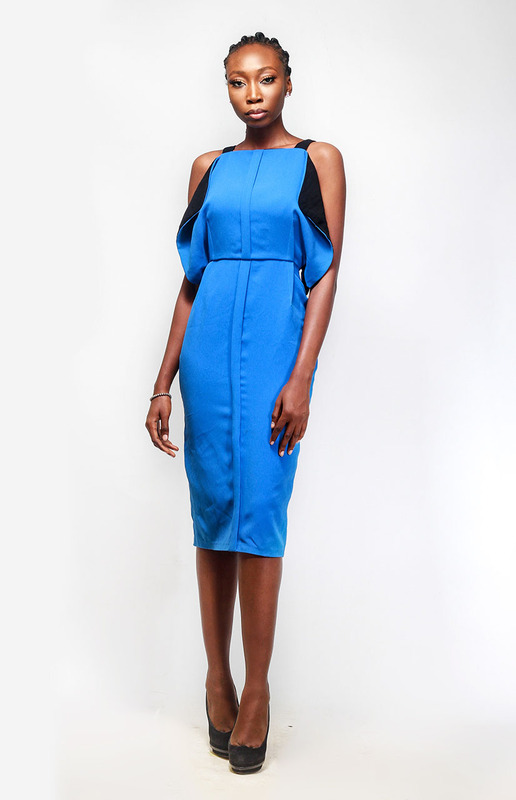 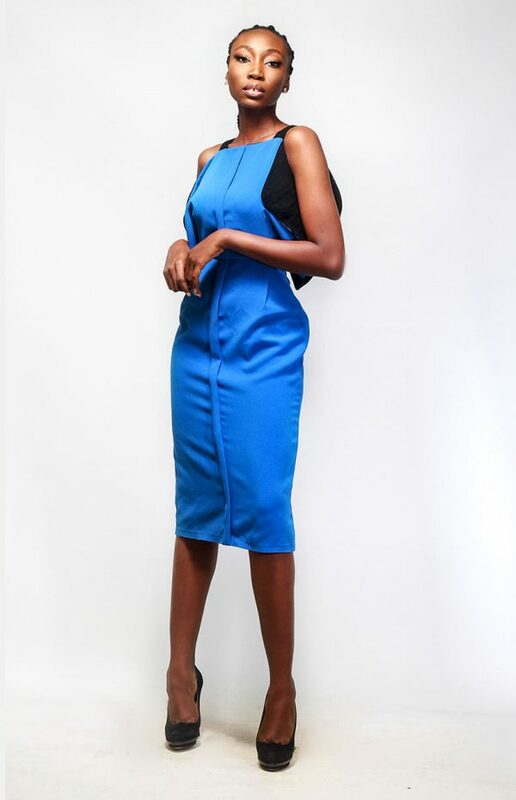 It doesn’t get better than this gorgeous blue dress by Directional brand, Gozel Green. 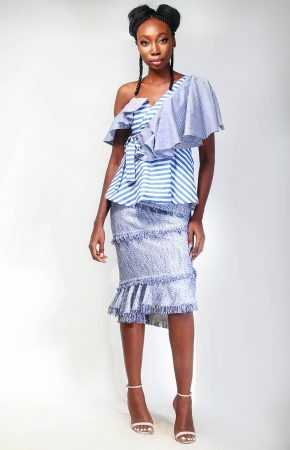 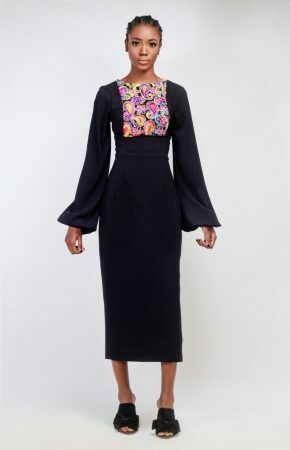 Termed the feather dress by the designers, it comes with a flattering kaftan/blouse effect on the top part and a midi fitted skirt with a slit at the back. 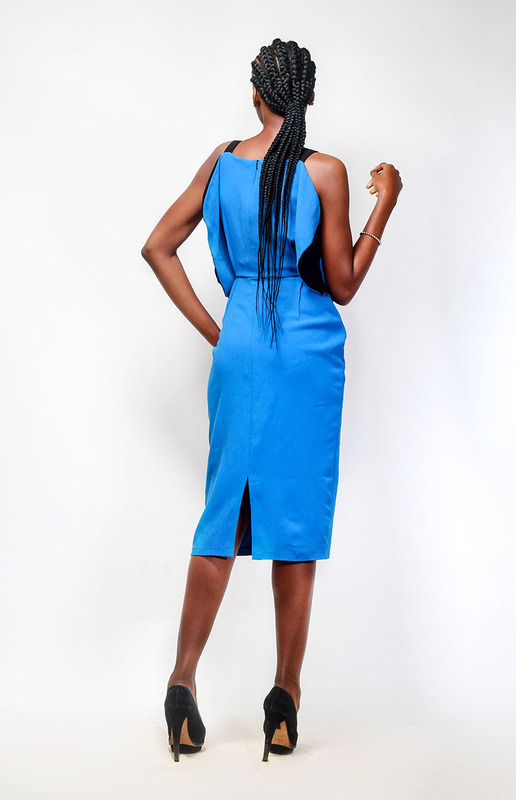 Let’s tow the predictable yet tested colour lane of striking blues and shocking reds! 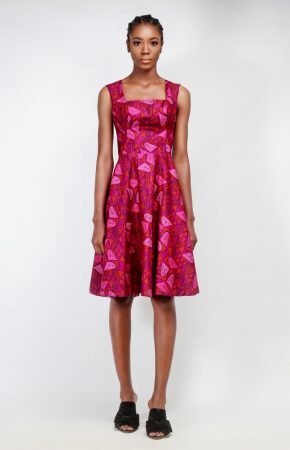 Match this gorgeous dress with patent red sandals or pumps and a bag and accessories of your choice!